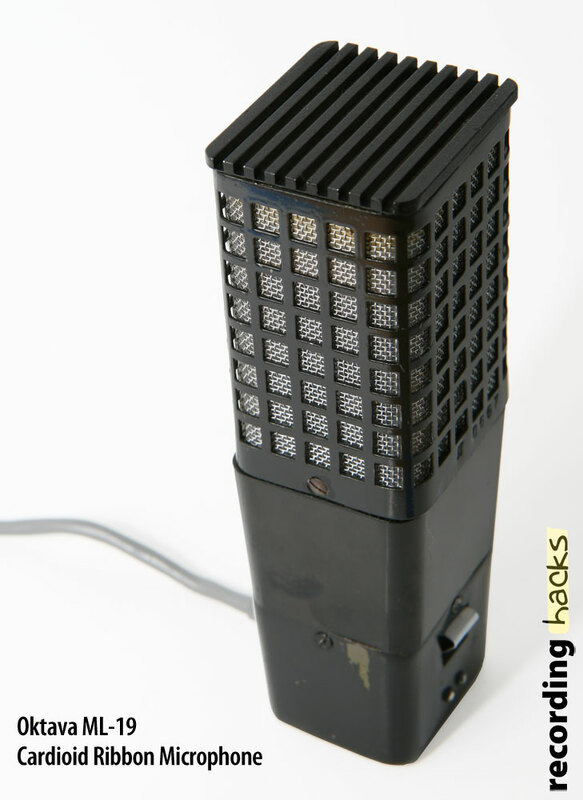 The ML-19 is a unidirectional ribbon microphone, produced by Russian microphone manufacturer Oktava from at least 1977 through 1983. Most ribbon microphones are bidirectional. The ML-19 is somewhat unique in that it has a Cardioid pickup pattern. 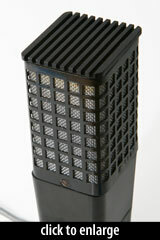 It reportedly has a fuller high-frequency response than most ribbon microphones. Note that this is an end-address microphone. Curiously, sometimes ML-19s are marked as ML-219. On request from Scott Dorsey, I compared the inside of both mics, and auditioned both — there were no difference. Further investigation at the factory, showed, that “Ml-219” is not mentioned in their achieves… Old employees guess [that] it was just a typo on the branding stamp! Dr. Mark Fouxman of Samar Audio Design has serviced many ML-19 and ML-219 microphones, and reports that in his experience the two microphones differ in one respect: the ML-219 has a single layer of silk inside the metal grille, while the ML-19 has two layers. According to Fouxman, both models use a resonator to increase high-frequency response, but has the additional effect of reducing bass response. The Oktava ML-19 is also known as: ML-219.